Today at Comic-Con International: San Diego, Nickelodeon announced that Teenage Mutant Ninja Turtles has been renewed for a 20-episode fifth season. Additionally, the network reavealed several exciting celebrity guest stars lending their voices to the upcoming fourth season of the series, including David Tennant, Ron Perlman, and Michael Dorn. David Tennant (Dr. Who) guest stars as The Fugitoid who was once an alien scientist named Dr. Honeycutt, but after his body was destroyed, his brain was saved and placed into the body of a robot. Peter Stormare (Fargo) guest stars as Lord Dregg, an arrogant, insectoid crime lord. When the Turtles incur his wrath, he becomes one of their most dangerous enemies. Michael Dorn (Star Trek) stars as Captain Mozar, the supreme Commander of the Triceraton Fleet. He is a cunning and brutal military commander who answers only to the Triceraton Emperor. Additional guest stars debuting later this year include: Lance Henriksen (Aliens) as Zog, a scout for the alien Triceraton army; Ron Perlman (Sons of Anarchy) as Armaggon, a vicious, bounty-hunter robo-shark with a taste for turtle; and Zelda Williams (The Legend of Korra) as fan-favorite Mona Lisa, a highly skilled Salamandrian warrior. Check out character art for these guest stars in the gallery below. 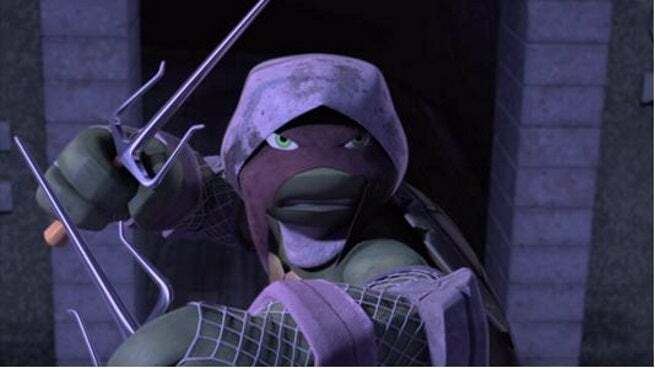 Teenage Mutant Ninja Turtles returns Aug. 2 at 11 a.m. (ET/PT) on Nick.